"... Works excellent. Decided to add it to my stack as I was already using con-cret with fantastic results. I actually do two servings of gluta-tren, one during my workout, kinda like I used to do with xtend and then another one right after my workout. I will note that it works much better than xtend or sizeon, I've used both and barely got any results from those besides getting hydrated." 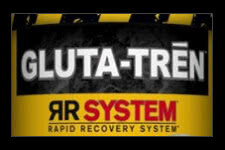 The ultimate in intra and post workout bodybuilding supplementation on the market today! 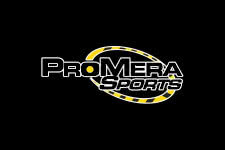 ProMera Health Sports supplements has released to the world their Gluta-Tren supplement that is aimed at improving your intra and post workout nutrition like nothing before. With so many options available in the supplement world today, it's no wonder that many consumers can get confused, but let fitFLEX tell you that few brands out there today have delivered results like Gluta-Tren! A perfect compliment to their Con-Cret, it's perhaps the best pre / intra / post workout stack you will find today. 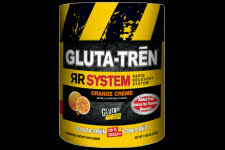 What sets Gluta-Tren apart from the competition is the list of impressive ingredients that include Beta Alanine, L-Isoleucine, L-Luecine, Creatinol O Phosphate, L-Glutamine, Actigin, L-Taurine, L-Tyrosine and finally L-Valine. The goal is to replenish glycogen and speed up the recovery process. This will lead to better gains with your new mass and strength goals. Experience an increase in growth hormone levels, by 430% to be precise. Give Gluta-Tren a shot today and be sure to check back with us right here at fitFLEX to share your experience! Dramatically Increase Glutamine Plasma Concentrations! Recommended Stack with Con-Cret Creatine for Wicked Gains!